MLP funny pictures. . Wallpaper and background images in the My Little Pony - L'amicizia è magica club. This My Little Pony - L'amicizia è magica photo contains anime, fumetti, manga, and cartoni animati. 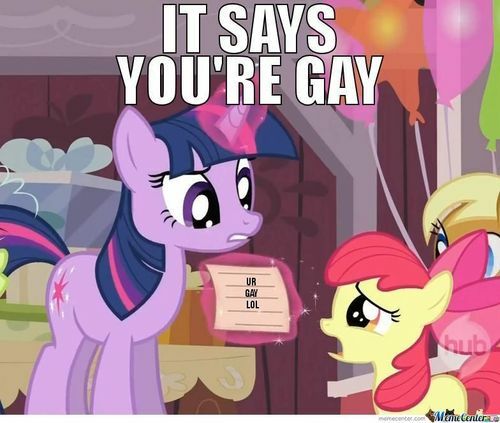 Applebloom is gay? well what is shes cutie mark?